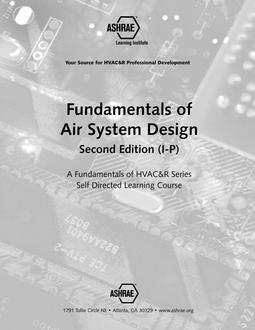 Fundamentals of Air System Design I-P, 2nd Ed. 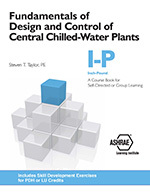 ASHRAE's Fundamentals of Design and Control of Central Chilled-Water Plants, I-P Edition, self-directed learning course book focuses on optimizing the design and control of chilled-water plants to minimize life-cycle costs. 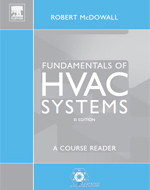 This work is an invaluable tool for HVAC designers of various backgrounds and an introduction for those new to chilled-water plants. Plant operators, energy engineers, and control system designers will also find information on loads, equipment, distribution, chiller procurement, controls, and commissioning. Supplemental online files are included to promote understanding of real-world scenarios. 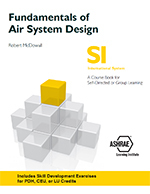 Skill Development Exercises at the end of each chapter help readers assess their understanding of the material and apply what they learn to real-world situations. 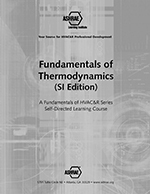 Answers to these exercises can be submitted online to earn PDH or LU credits.